By Amy Morrison PA-C and medical director of Morrison Clinic. People pleasers feel more important and feel good about themselves through the act of taking care of others. However the people they often take care of tend to manipulate and misuse them and offer them little care in return. While People Pleasers show love and affection by taking care of others, they find it hard to set healthy boundaries. They often over extend themselves. They begin to feel resentful that no one is meeting their needs. People Pleasers spend so much time and effort in taking care of others. Unfortunately, they often do not establish good social support for themselves. They also find it hard to give up control and let other people take care of them. While taking care of others in noble and rewarding, it can also be toxic and unhealthy. If other people are using shame and false guilt in order to get their way, then you need to consider making some changes. Learning how to be assertive is very important in stopping the toxic cycle of giving too much and owning other people’s emotions. I recommend working with a counselor in order to best learn about healthy boundaries. You will also want to to learn assertiveness in your unique relationships. 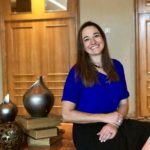 This article is a quick primer on assertiveness that I have broken down into 3 steps. It is very important to recognize and understand that other people can express a wide range of emotions. They might claim that these emotions are a result of your behavior. However it is very rare that you should take any ownership of their feelings. I previously wrote an article titled“Do You Have a Guilty Conscience”. This article touches upon feelings of “false guilt” that occur when you own someone else’s negative emotions. If you haven’t read it take a quick 5 minutes to read through it. My rule of thumb about owning other people’s emotions is quite straight forward. 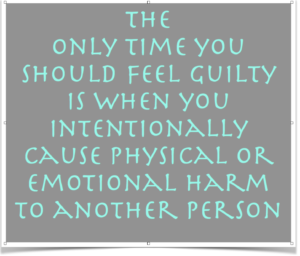 The only time you should feel guilty is when you intentionally behaved in a manner that you knew would cause either physical or emotional harm to another person. If your actions were not intended to inflict harm then don’t defend yourself. Don’t justify your choices or decisions. It is also important that your own emotions are not affected by other person’s reactions to your behavior. You must learn how to stay emotionally neutral with conflict. Once you have mastered this concept it will be much easier for you to set emotionally healthy boundaries. Keep in mind this does not mean that you can act inappropriately and get away with it. When you have behaved poorly you should own it. However if your behavior was not bad and another person is upset with you then you should not justify your actions. An appropriate apology would be “I am sorry that you feel (fill in the blank), but it was not my intention to make you feel that way.” In this way you can empathize with another person’s feelings without taking ownership. Step 2: Embrace the adage that you teach people how to treat you based on what behaviors you accept. If you allow people to behave poorly then they will continue to behave poorly. If you do not accept bad behavior then one of 3 things will likely happen. The person will either learn to stop behaving that way, they will behave that way with other people but not with you, they will behave poorly in a different way, or they will chose to no longer interact with you. Hopefully the person learns to stop the bad behavior. However, be weary of anyone who continues to act poorly with other people or who acts out against you in a different way. These are red flags that they are not an emotionally healthy person. Step 3: Determine what behavior, words, and actions are acceptable to you. This of course will take some time. As you have conflicts with other people start to make notes about what behaviors are not acceptable to you. Take some time to reflect on what short phrases you could use in those circumstances. You want to be able to quickly nip the behavior in the bud with just a few words. Practice what you will say. You want to be able to deliver your responses with a pleasant look on your face and a neutral tone of voice. You can practice by looking into the mirror, role playing with another person, or even pretending that the person you want to say this to is sitting in the empty chair in front of you. Whatever method you chose it is important to practice and practice and practice some more. It is important that you feel comfortable and confident when the time comes that you need to be assertive. Learning how to be assertive is very important skill that you should take the time to master. It will benefit you at work with co-workers, employees, and your boss, at home with your children and spouse, and socially with your friends. At first you will notice that people don’t like that you changed the rules of interaction. Be patient because you will get some push back. However it is very important to continue to be assertive. Do not become emotional and hold your ground. Consequently, you will notice a decrease in conflicts as the people in your life start to learn what behaviors you will accept. You will also find that your resentment towards others will start to dissipate. As you become more assertive, your needs will be better met and your relationships will become more fulfilling to you. Good article. Nice to see a PA author also!